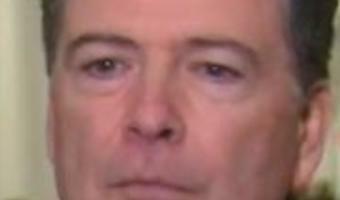 What is James Comey’s net worth, why was he fired by Donald Trump and who’s his wife? THE FBI boss who probed whether members of Donald Trump's campaign team colluded with Russia is set to be interviewed on Capitol Hill by house Republicans one last time Here's the lowdown on James Comey who authored a memoir titled 'A Higher Loyalty' earlier this year. What does James Comey say in his new book? Comey’s book, A Higher Loyalty, out next Tuesday, is published 11 months after he was fired by Trump. Comey’s dismissal triggered the appointment of Robert Mueller to oversee the investigation into Russian election meddling Under-fire Trump has long denied any collusion and has called the high-profile investigation a “witch-hunt”. In Comey’s memoirs, obtained by the Guardian, the former FBI chief describes his first trip to Trump Tower in January 2017. He was called in to brief the then president-elect about the so-called dirty dossier on his links to Russia compiled by the former British spy Christopher Steele. Towering 6ft 6ins Comey writes Trump … [Read more...] about What is James Comey’s net worth, why was he fired by Donald Trump and who’s his wife?